Since buying his first house in 1988, George have always been involved in property. Moving to George in the Garden Route in 1995, selling, renovating and letting of residential, commercial and properties has been his passion. Starting in the motor and caravan trade, his father taught him the value of retaining customers and making them life long friends. "If you handle clients with respect and integrity ... they will always support you..... Let me help you realise your dreams and make the Garden Route lifestyle a reality..." Your dreams fulfilled is the essence of our relationship in Property today....what we enjoy tomorrow is a bonus and blessing. Appreciate your friends and family, make everyday count. Anton is comfortable with people from all social groups. His time spent abroad sailing the Mediterranean and being involved in deep sea salvaging, put him in touch with many different cultures, religions, races and influential status. This is clearly evident by his confidence around others. You will pick up on his honesty, transparency and punctuality from your very first meeting. Anton is a passionate real estate professional whose focus is on ethical business practice. As a people pleaser, he is committed to providing the best service in real estate. He will go out of his way to please his clients and his every day neighbour. Danie recently joined the Harcourts family as an Intern Real Estate Professional because of their Strong Values and Professionalism. 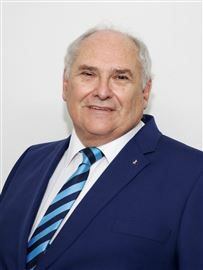 He left the hospitality industry after more than 20 years where he gained a wealth of experience both in South Africa and more recently abroad in the UK, acquiring skills such as always putting the customer first, exceeding guest’s expectations and delivering world class service, which he has incorporated into the Real Estate Industry. Danie has a passion for working with people and will always go above and beyond for his clients, his experience in the hospitality industry has given him the interpersonal skills needed to effectively manage the whole process of ensuring a pleasurable experience while selling your most valuable possession… your home. He believes in putting people first. Since his relocation to S.A Danie has been involved in the Real Estate sector and has sold 3 farms to highly satisfied clients and has fallen in love with his new career in Realty. Danie prides himself as being honest, he will not lead you around corners, reliable, what he says and promises he will adhere to and is loyal to his clients, confidentiality is very important to him. With a family of his own he knows the importance of having the ideal happy home and will endeavour to help you find your dream house or gentleman’s farm. Contact Danie today for all your residential needs in George and farms in the Garden Route. After finishing his studies in 2002 Jaco has been working mostly overseas and also following a career as a professional rugby player. He has gained valuable life experience spending most of his time in countries like Germany, England and Scotland. Being a sportsman Jaco knows the importance of joining the right team and therefore delighted to be part of the dynamic Harcourts family. Jaco has a passion for real estate and after returning from abroad in 2009 started a successful accommodation business that expanded and gave him the opportunity to do his own property development involving building, leasing and overall management of these properties. Professionalism and customer service is very important to him therefor he strives to make his clients realty dreams a reality. 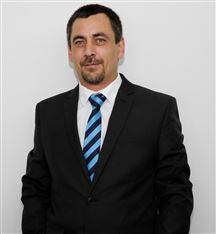 Marius’ first encounter with Harcourts was in 2016 as a satisfied client after relocating to George. As an Officer that served in the SANDF for 17 years, he understands the meaning of discipline and professionalism. Marius recently decided to join Harcourts as an intern agent. Marius has a passion to work with people and is willing to walk the proverbial extra mile to ensure that all possible is done to create moments of truth for satisfied clients. This is evident in the wonderful and uplifting feedback from his overjoyed clients. Having a family of his own, he understands that home is where the heart is. 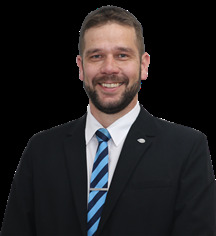 Contact Marius today and let him assist you in obtaining your dream home. Ursula has been in marketing for 21 years. After studies she worked at Barlows Caterpillar as a Personal assistant for a few years. she got married and join her Husband in their own bussiness starting as Sales consultant selling Cars & Caravans. In 2000 she joined a Network Marketing company called Miglio,in one month she qualified as a level five consultant, 2 years later she was appointed as Area manager, recruiting and training consultants. 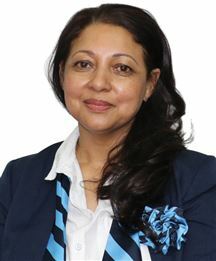 She achieved top ten 10 national selling consultant in 2004 and 2005.Her group delivered the top selling consultant in personal sales for 5 years and she was awarded with various overseas trips. During this time she also established her own Beauty Salon using and marketing Willa Krause products as well as acting as Area Manager for the company for 3 years. 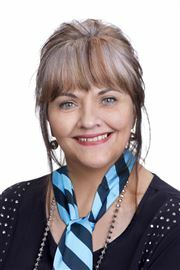 Ursula and her husband bought Harcourts Garden Route Franchise in 2010, She completed her NQF4 sertificate and with great expectation joined the Real Estate market. Her passion in life has always been people, meeting their needs and different expectations of life.Ursula is a loyal,vibrant and enthusiatic person, putting her client's best interest at heart and always acting in a professional manner. She believe in sound family values,and have been married for 20 years. Ursula has been blessed with four beautiful children, three daughters and one son. In her spare time her hobbies include singing and tennis. Ursula is proud to be part of Harcourts Garden Route Real Estate and is looking forward to effectively assist you with your property requirements. Vanessa has been involved in the real estate industry since 2015 and loves this amazing journey. 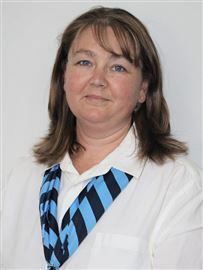 She is interested in people and keen to help in any way matching people to property. Vanessa is passionate about building relationships on trust. She has a positive attitude on life and enjoys making the most of her outdoor activities. She strives for excellence in service and professionalism. Vanessa is a real estate professional who works hard, listens and commits. If you are considering buying or selling property, call Vanessa now, and make your next move, Your Best!